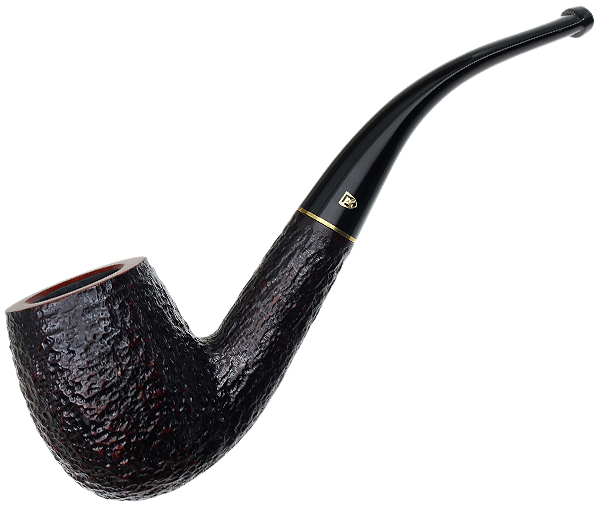 The "606" bent Billiard is one of the most familiar and venerated shapes in the Savinelli lineup, even having been used in the heralded 125th Anniversary series. Many pipe companies seem to stick with one style and simply stain it different colors and adorn it with various ferrules and whatnot to achieve different results, but Savinelli really thinks a little more deeply about pairing rustication with the other aspects of the pipe. This really shows in the Roma, with a fairly low-profile rustication matched to a minimal accent of brass trim, lending this series a simple beauty.